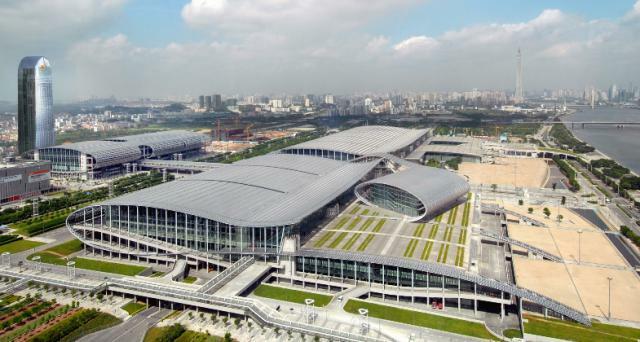 The 37th China International Furniture Fair, a business platform and an essential meeting place for all those operating in the sector, will be held in two phases: the first, from 18 to 21 March, and the second, from 28 to 31 March. CIFF is the world’s largest furniture exhibition. The figures speak for themselves: more than 4,000 exhibitors from 32 countries, visitors expected from over 190 countries, and a exhibition space that has been increased from 680 thousand to 750 thousand square metres, since, in phase one, the PWTC Expo complex will be utilised for the first time. Following the extraordinary success recorded in 2015, the September edition of CIFF will this year be held in Shanghai again, from 7 to 10 September. Guangzhou and Shanghai: a double appointment in the two Chinese capital cities for international business; a unique springboard that provides companies, and all professional operators working in the furniture industry, with the best opportunities in the Chinese and global markets. Phase one of CIFF 2016 in Guangzhou focuses on the topic of "Whole-Home-Decor": a full range of solutions, from individual furniture items to complete furnishing solutions, from classic to modern styles, a showcase displaying the evolution and integration of furniture decoration. On display, an enormous selection of products in various styles and typologies: home furniture, home decor, home textiles, outdoor furniture and leisure products. The 370,000 square metres of the China Import & Export Fair complex are divided into topic-based pavilions: the International Brand Hall of Home Furniture, which will increase its displaying area to 30,000 sq. m. with hundreds of brands from US, Italy, France, UK, Singapore, Turkey, Korea, Malaysia, Thailand, etc. ; the Design Hall, Soft Decoration Sector, Custom-made Furniture and Kids & Teenagers Furniture Sector. For the first time this year, the PWTC Expo complex is also being used. Standing next to the main exhibition halls, this complex houses the Outdoor & Leisure sector, in 6 pavilions, therefore extending the exhibition area by a further 70,000 square metres. The Summit Forum, dedicated to Custom-Made Furniture will be held on the first day. From 18 to 21 March there will be the first Global Garden Life Festival, in collaboration with the Guangdong Outdoor Furniture Association, on the topic of “Outdoor Furniture, Leisure Style; Meet You at Garden Next Door”. At the same time it will also be possible to use the interactive platform entitled “Internet + Home Decoration Design Competition” in order to post your own ideas about “Design China”, or to look at those of other users, in order to improve the level of international competitiveness. During the second phase of CIFF 2016 in Guangzhou, the focus will be on the office environment and public spaces, with a range of innovative products, and with the aim of facilitating interactions between manufacturers and buyers. An area of 350,000 sq. m. will showcase office furniture and chairs, furniture for hotels, metal furniture, furniture for public spaces and waiting areas, accessories, row materials and machinery for the furniture industry. Providing further confirmation that CIFF is the only showroom in Asia that offers a full, 360° range of products, and that can coordinate the companies working along the entre furniture sector production chain. Once again this year, all eyes will be on the The Office Environment Theme Pavilion, an event dedicated the wellbeing of the office environment and to solutions for improving the quality of work. In view of the growing requirement for interaction between technology and furniture, either in the home, for the garden, office or hotel, the 37th edition of CIFF focuses on the concept of smart furniture. Topic-based events and forums provide inspiration for discussion and trace out future scenarios. Another important topic focussed on by CIFF is that of custom-made furniture: a growing trend that people customize furniture to fit their space and to which the fair organisers plan to attach the proper importance, creating dedicated areas in each sector of the fair.